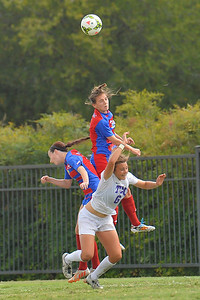 September 28, 2014: Kansas Jayhawks defender Morgan Williams (15) clears the ball during a match between TCU and No. 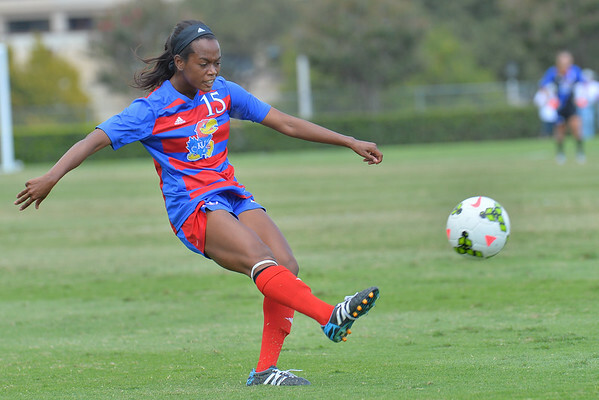 18 Kansas at Garvey-Rosenthal Soccer Stadium & Jane Justin Field House in Fort Worth, Texas. 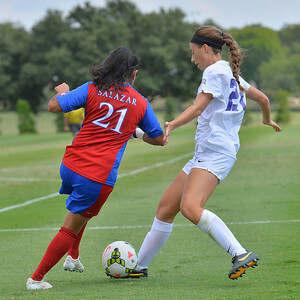 September 28, 2014: TCU Horned Frogs forward Brooke Ingram (21) battles Kansas Jayhawks midfielder Liana Salazar (21) for control of the ball during a match between TCU and No. 18 Kansas at Garvey-Rosenthal Soccer Stadium & Jane Justin Field House in Fort Worth, Texas. 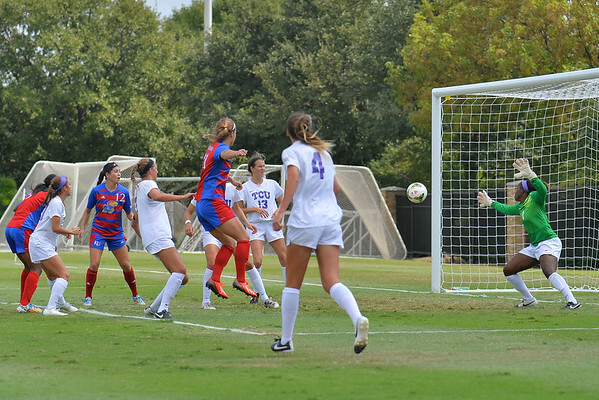 September 28, 2014: TCU Horned Frogs goalkeeper Vittoria Arnold (1) tries to stop a shot during a match between TCU and No. 18 Kansas at Garvey-Rosenthal Soccer Stadium & Jane Justin Field House in Fort Worth, Texas. 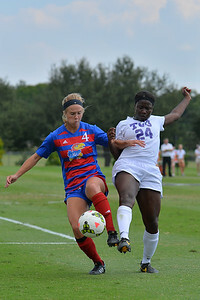 September 28, 2014: Kansas Jayhawks defender Kaley Smith (4) battles TCU Horned Frogs forward Kela Gray (24) battle for control of the ball during a match between TCU and No. 18 Kansas at Garvey-Rosenthal Soccer Stadium & Jane Justin Field House in Fort Worth, Texas. 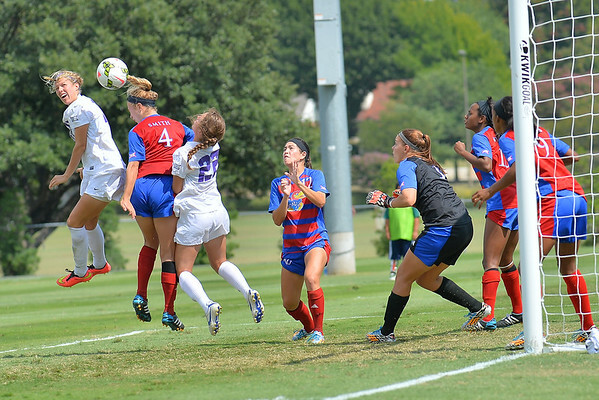 September 28, 2014: Kansas Jayhawks defender Kayla Morrison (20) scores a goal on a header during a match between TCU and No. 18 Kansas at Garvey-Rosenthal Soccer Stadium & Jane Justin Field House in Fort Worth, Texas. 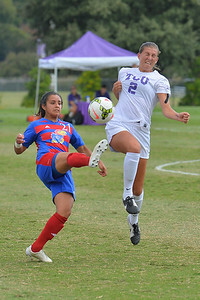 September 28, 2014: Kansas Jayhawks midfielder Liana Salazar (21) battles TCU Horned Frogs midfielder Meghan Murphy (2) for the ball during a match between TCU and No. 18 Kansas at Garvey-Rosenthal Soccer Stadium & Jane Justin Field House in Fort Worth, Texas. 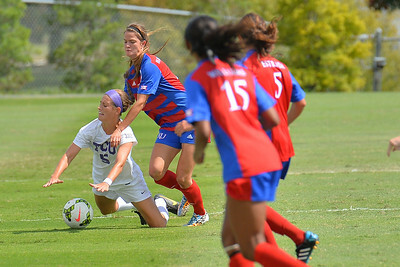 September 28, 2014: TCU Horned Frogs midfielder Madeline Hamm (5) is fouled during a match between TCU and No. 18 Kansas at Garvey-Rosenthal Soccer Stadium & Jane Justin Field House in Fort Worth, Texas. 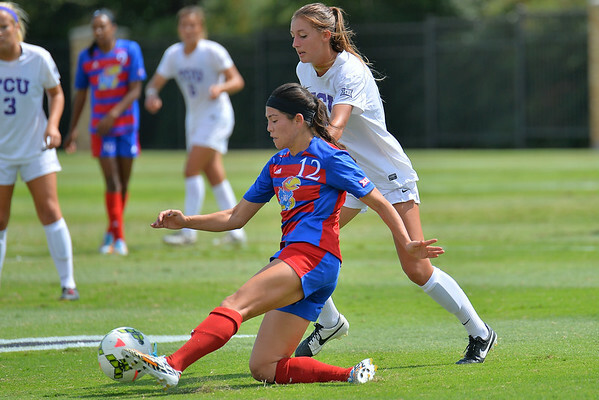 September 28, 2014: Kansas Jayhawks forward Ali Kimura (12) tries to control the ball during a match between TCU and No. 18 Kansas at Garvey-Rosenthal Soccer Stadium & Jane Justin Field House in Fort Worth, Texas. 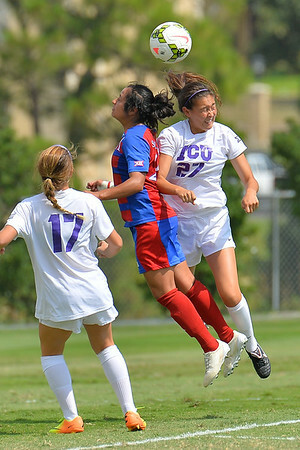 September 28, 2014: TCU Horned Frogs midfielder Bella Kubo (27) battles for a ball during a match between TCU and No. 18 Kansas at Garvey-Rosenthal Soccer Stadium & Jane Justin Field House in Fort Worth, Texas. 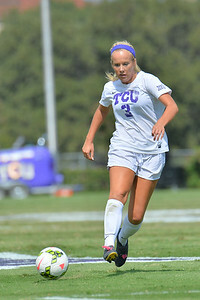 September 28, 2014: TCU Horned Frogs forward Brooke Ingram (21) dribbles the ball during a match between TCU and No. 18 Kansas at Garvey-Rosenthal Soccer Stadium & Jane Justin Field House in Fort Worth, Texas. 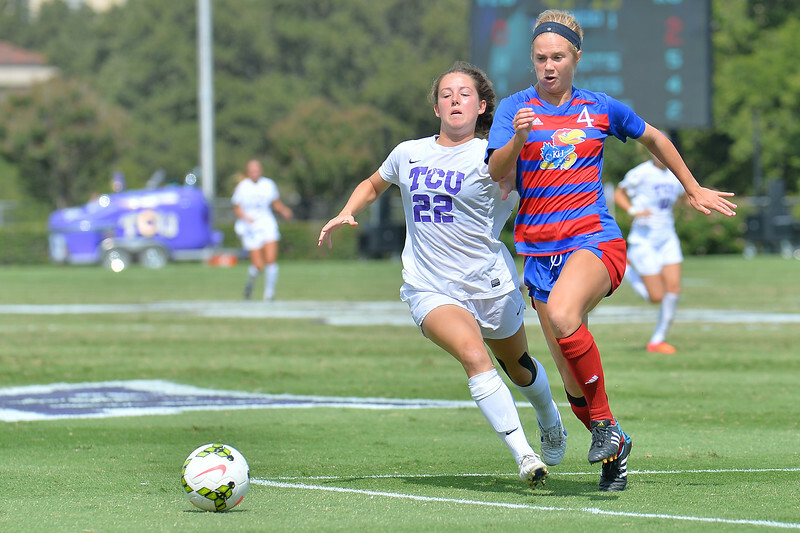 September 28, 2014: TCU Horned Frogs midfielder Madeline Hamm (5) and Kansas Jayhawks defender Caroline Van Slambrouck (22) chase after a pass during a match between TCU and No. 18 Kansas at Garvey-Rosenthal Soccer Stadium & Jane Justin Field House in Fort Worth, Texas. 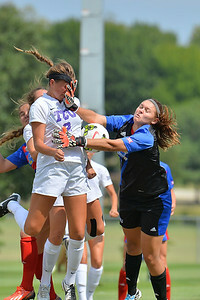 September 28, 2014: TCU Horned Frogs forward Emma Heckendorn (22) and Kansas Jayhawks defender Kaley Smith (4) battle for the ball during a match between TCU and No. 18 Kansas at Garvey-Rosenthal Soccer Stadium & Jane Justin Field House in Fort Worth, Texas. 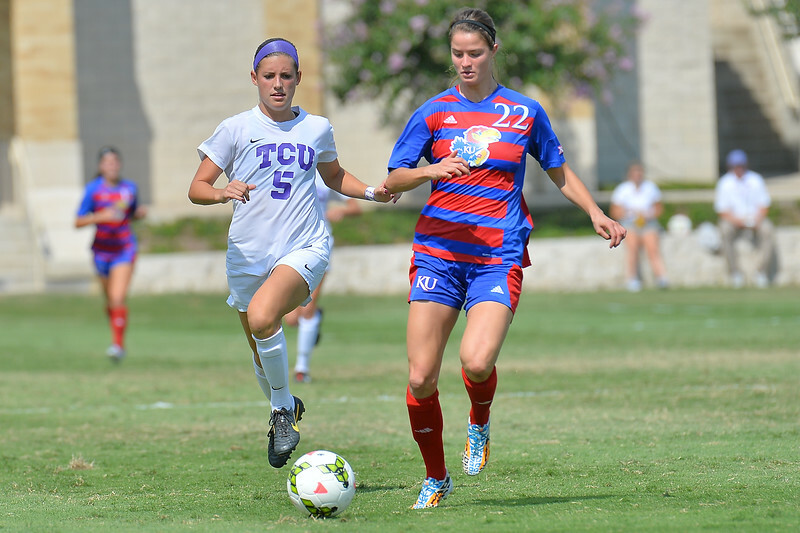 September 28, 2014: Kansas Jayhawks defender Kaley Smith (4) and TCU Horned Frogs forward Emma Heckendorn (22) battle on a corner kick during a match between TCU and No. 18 Kansas at Garvey-Rosenthal Soccer Stadium & Jane Justin Field House in Fort Worth, Texas. 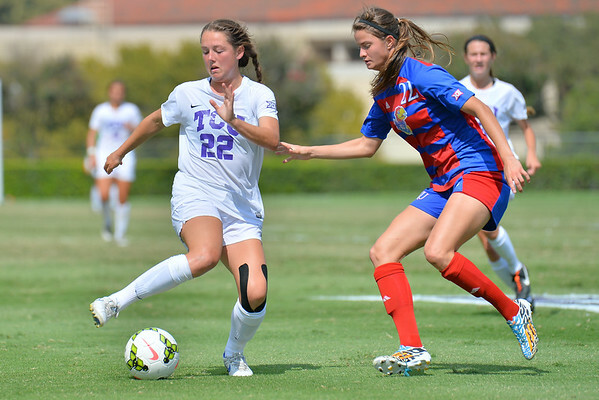 September 28, 2014: TCU Horned Frogs midfielder Makenzie Koch (3) dribbles the ball during a match between TCU and No. 18 Kansas at Garvey-Rosenthal Soccer Stadium & Jane Justin Field House in Fort Worth, Texas. 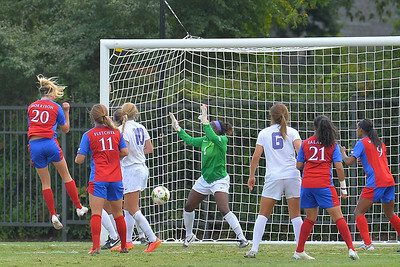 September 28, 2014: TCU Horned Frogs midfielder Meghan Murphy (2) and Kansas Jayhawks goalkeeper Kaitlyn Stroud (1) duel on a corner kick during a match between TCU and No. 18 Kansas at Garvey-Rosenthal Soccer Stadium & Jane Justin Field House in Fort Worth, Texas. 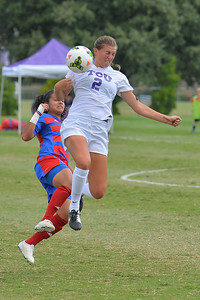 September 28, 2014: TCU Horned Frogs forward Emma Heckendorn (22) dribbles the ball during a match between TCU and No. 18 Kansas at Garvey-Rosenthal Soccer Stadium & Jane Justin Field House in Fort Worth, Texas. 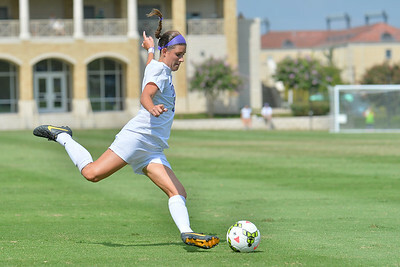 September 28, 2014: TCU Horned Frogs midfielder Madeline Hamm (5) kicks the ball during a match between TCU and No. 18 Kansas at Garvey-Rosenthal Soccer Stadium & Jane Justin Field House in Fort Worth, Texas. 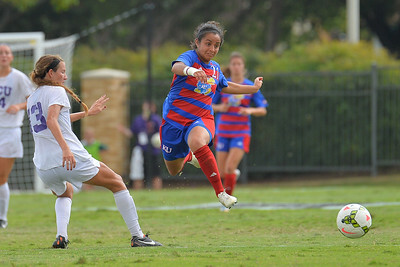 September 28, 2014: Kansas Jayhawks midfielder Liana Salazar (21) tries to block the ball during a match between TCU and No. 18 Kansas at Garvey-Rosenthal Soccer Stadium & Jane Justin Field House in Fort Worth, Texas. 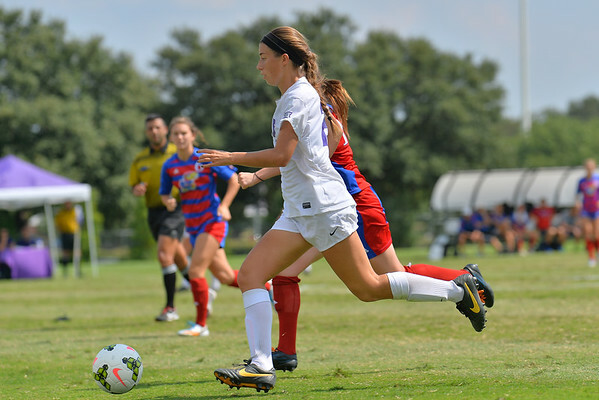 September 28, 2014: TCU Horned Frogs midfielder Lauren Sajewich (6) battles a pair of Kansas Jayhawks players on a corner kick during a match between TCU and No. 18 Kansas at Garvey-Rosenthal Soccer Stadium & Jane Justin Field House in Fort Worth, Texas. 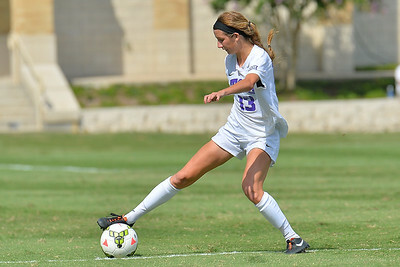 September 28, 2014: TCU Horned Frogs forward Ryan Williams (13) tries to control the ball during a match between TCU and No. 18 Kansas at Garvey-Rosenthal Soccer Stadium & Jane Justin Field House in Fort Worth, Texas.